What I am about to tell you is probably the single most important bit of information you can remember about French Burgundy Wine. It has to do with grape, and “terroir” – I’ll explain both in details. Now that we have learned the French Burgundy wine pronunciation, let’s discuss grapes. What I am about to tell you is probably the single most important bit of information you can remember. Once you understand this, you will understand the uniqueness and the allure of Burgundy. ALL of the white Burgundies are 100% Chardonnay. ALL of the red Burgundies are 100% Pinot Noir. There is no blending of different types of grapes. As an example, my friend Alex Gambal produces 6 or 8 whites, and 6 or 8 reds in any given year (vintage). Each of those whites is made from Chardonnay grapes. Each of those reds is made from Pinot Noir grapes. 2 – How Come Burgundy Wines Taste So Different? I know what you’re wondering: if they’re all made from the same grape(s), how can they be/taste different? The answer is fundamental to both the wines and the food products of France: it is the concept of “terroir”. 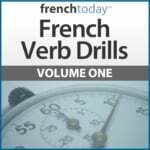 3 – What Does “Terroir” Mean in French? Terroir literally means earth/dirt/soil, etc.. But what it defines in Burgundy is specificity of place, ie. the grapes (either chardonnay or pinot noir) grown in this place/patch of soil will produce wine that taste different from grapes grown on another (even adjacent) patch of soil. “Terroir” has gained great favor in the United States and throughout the world in recent years, but it is a concept that has been around, recognized and understood in France for a very, very long time. And for me, it means one more thing: terroir means history. This land has been used for the growing of grapes for hundreds of years. Many of these vineyards have been owned by the same family(s) for many generations. Each year is unique, and it is the variations in weather throughout a given vintage (un millésime) that give that vintage it’s specific character. 2003 is a good example. It was an extremely hot year throughout Europe, so hot that hundreds of people actually died as a result of the heat. This heat caused the grapes to ripen very early (the harvest was pretty much done in Burgundy by the very beginning of September), and it acted to concentrate the sugars in the grapes. As a result, the 2003 wines are very fruity and have been defined as easy, early drinking wines. 2005 was a vintage of almost perfect growing conditions throughout the season, and as a result, the grapes were perfect as they arrived at the winery. The ideal conditions to make great wine. The same was true for 2009. 2008, by contrast was a difficult vintage, and it was only the last 3 or so weeks prior to harvest that saved the vintage, having been cool and wet throughout spring and summer. It is during the difficult vintages that the winemaker must show his (or her) stuff. Difficult vintages are called “winemakers vintages”, kind of a euphemism for the necessity of creative wine making. Each winemaker has a specific style of wine making: so in order to really understand and appreciate the wines, it is a good idea to know some of the major/well known (and well respected) winemakers. (I am certainly biased, but I would put Alex Gambal high on that list). Publications like the Wine Spectator are good resources for this. And finally, a little piece of information with which you can impress your “wine” friends with. “Aligote” is a white grape variety that produces a wine that is very often paired with oysters. There is also a pinot gris type grape grown. But the most important “other”(red) grape type is Gamay – the grape used to make Beaujolais. I suggest you now know go to your favorite wine store and start looking in the Burgundy section! Hopefully it won’t be so intimidating now, and you can start to do what is clearly the most important part of the learning process: wine drinking. And maybe try this fun wine game. Bonjour a tous, I have, for the last six years, participated in the wine harvest in Burgundy, cooking for a good friend who owns a winery in Beaune (Maison Alex Gambal). It has been a most unbelievable experience, and I hope to be able to share a little of it with you. I owe my French to Camille's lessons: she has really increased my confidence in speaking when I visit France and talk with French natives.